Luke Benjamin Weddings will provide services to the Customer(s), providing the Customer(s) have/has assessed all the risks that may occur. c. The full balance is payable at least 14 days prior to the date of your wedding. In cases where a booking has been made within the 14 day period, the full (non refundable) balance is payable. Failure to pay the final balance within this period will cancel your booking and the full price agreed will become chargeable. All packages include travel expenses up to 100 miles from our studio (LA6 2RE). For distances greater than this we reserve the right to charge a fee for any further motoring or rail expenses. For commissions beyond 100 miles of our studio (LA6 2RE) accommodation must be provided by the client for the night of the wedding and the night prior to the wedding. 2. Ninety days to fourteen days prior to the date = deposit plus half the remaining cost. 3. Less than fourteen days prior to the date = full amount. a. Any variations in the times, dates, or to the planned event that may impact on the booking form should be communicated to Luke Benjamin Weddings as soon as possible. d. Arrangements should be made for all venues to be accessible by Luke Benjamin Weddings at least one hour before the time of each event; this is to be arranged by the Customer(s). f. Coverage will be as the cameraman’s professional expertise determines and no one scene will be determined more important than another. While every effort will be made to get the best position for the camera(s) to film the event this may not always be possible if restrictions are imposed upon us on the day. Luke Benjamin Weddings cannot guarantee coverage of any particular individual or group during the day. Every effort is made to ensure perfect colour and lighting reproduction, but certain conditions may not be accurate such as mixed indoor and external lighting, hard shadows, and low lighting conditions. With these factors beyond our control, we will endeavour to produce the best image possible. In the case that a particular segment of the event is either not recorded, partially recorded, or not a part of the final edited film, it is at the sole discretion of Luke Benjamin Weddings. If something occurred at the wedding that the Client does not want to appear on the final film, the Client must instruct Luke Benjamin Weddings in writing before post production begins. 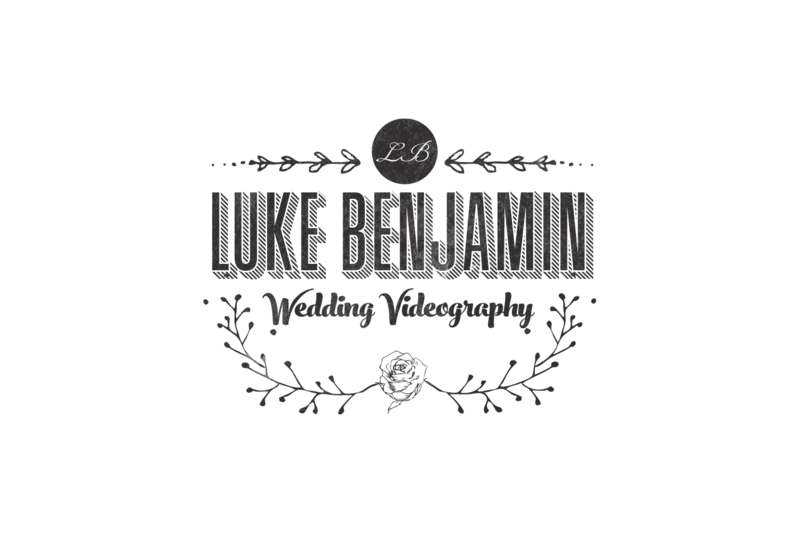 Luke Benjamin Weddings are a videography and photography team consisting of numerous camera operatives. Unless otherwise instructed we usually complete each wedding with just one videographer. We will allocate your videographer based on availability and location. If video coverage is greater than 5 hours, the Client must provide a hot meal to the camera operative. It is very important that this be served at the same time as any other food is served to guests. Vendor meals provided at any other time i.e at the end of guest service may affect what footage we are able available to capture. a. Luke Benjamin Weddings will endeavour to build your film around any special requests made within this booking form, but such requests are not binding instructions. Artistic interpretation cannot be guaranteed but every attempt will be made to comply with the Customer(s) wishes. Luke Benjamin Weddings will not be held responsible for scenes not included due to inclement weather or other conditions outside of Luke Benjamin Weddings control. the Record Company. The Record Companies are represented in the UK and Ireland by PPL. CS supply both licences in Paragraph (5.e) as part of this wedding package and this should be communicated to your ceremony organiser. h. Completion is usually within 4-8 weeks from the date of the event (not including any bank holidays). Subject to Paragraphs (5.h.1 and 5.h.2) .1. The Customer(s) supplies Luke Benjamin Weddings all items required to complete the video before the event date. 2. If after 6 months from the date of the event, the items and, or information required to finish the video is not forthcoming, then the service will have expired and an additional fee will be made for any subsequent editing. b. The prices within this booking form are current at the time of viewing. Luke Benjamin Weddings reserves the right to change and amend this booking form without notice at which point prices may change. c. Unless stated in the ‘anything else’ section of this form Luke Benjamin Weddings retain Copyright of the goods produced from this booking form and are protected by the Copyright and Design act 1988. The Customer(s) hereby allows Luke Benjamin Weddings to display any media included in this booking form in any form.